Shift from conventional cosmetics to chemical free organic chemicals coupled with innovation in lipsticks to aid growth of North America lipstick market through 2023. 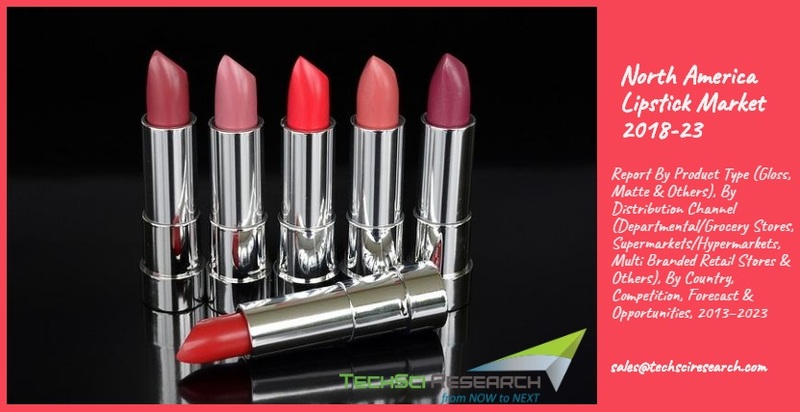 According to TechSci Research report, ‘North America Lipstick Market By Product Type, By Distribution Channel, By Country, Competition, Forecast & Opportunities, 2013–2023’, North America lipstick market is projected to cross $ 5 billion by 2023. Anticipated growth in the market over the next five years is expected to be led by new product innovations by key market players coupled with improving consumer confidence index in the region. Moreover, consumers are exhibiting increasing willingness to switch from chemical laden conventional cosmetics to natural products, which is positively influencing the region’s lipstick market. United States accounts for majority value share in North America lipstick market on account of huge consumer base, high per capita income levels and availability of numerous brands across the country. L’Oréal International, Shiseido Company, Limited, The Estée Lauder Companies Inc., etc., are some of the companies operating in North America lipstick market, Canada Lipstick Market ,Mexico Lipstick Market ,US Lipstick Market . Among distribution channels, Supermarket / Hypermarket generated the highest sales for lipsticks in North America lipstick market in 2017. 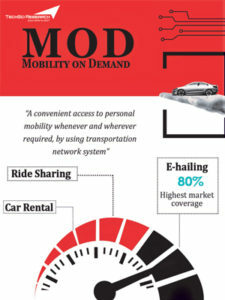 The segment is anticipated to continue dominating during forecast period as well on the back of ease of convenience provided by this sales channel. However, online sales channel is expected to witness the fastest growth during forecast period, owing to rising penetration of internet and rising popularity of e-commerce platform. “Rising focus of manufacturers on product innovations is fueling growth in North America lipstick market. Moreover, changing marketing strategy of lipstick manufacturers coupled with their focus on continuous product development and convenient & attractive packaging is further anticipated to positively influence North America lipstick market in the coming years. Additionally, emergence of e-commerce along with growing demand for cosmetics among youth and working women population would further steer the market over the coming years.” said Mr. Karan Chechi, Research Director with TechSci Research, a research based global management consulting firm. “North America Lipstick Market By Product Type, By Distribution Channel, By Country, Competition, Forecast & Opportunities, 2013–2023” has evaluated the future growth potential of lipstick market and provides statistics and information on market structure, size, share and future growth. The report is intended to provide cutting-edge market intelligence and help decision makers to take sound investment decision. Besides, the report also identifies and analyzes the emerging trends along with essential drivers, challenges and opportunities present in North America lipstick market.